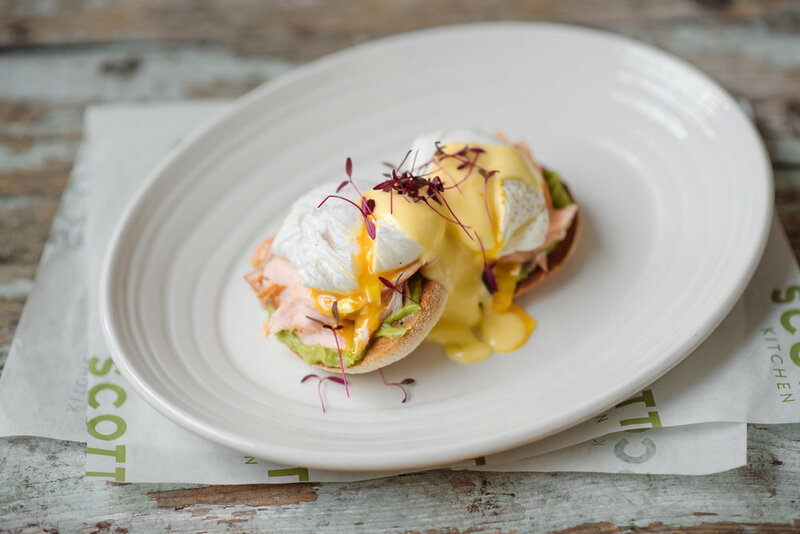 Welcome to Scotts Kitchen, Edinburgh’s top spot for breakfast, lunch, dinner and events! 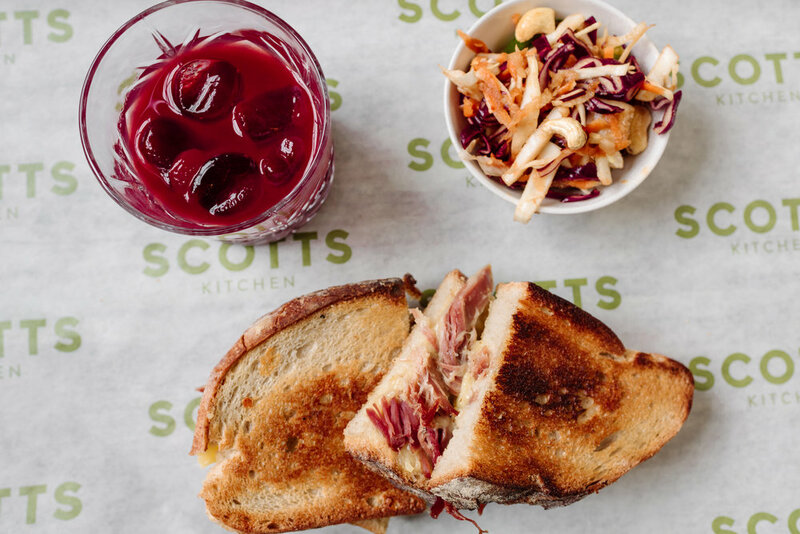 Part of the Howies Restaurant family, Scotts Kitchen opened in August 2017 and has the same ethos for cooking as its siblings - using only the freshest ingredients to create Scottish, seasonal & seriously tasty dishes. Overlooking the city's most photographed street - and just above our sister venue Howies Victoria Street - our menus gently evolve throughout the day. We'll take you from your first sip of coffee in the morning with a Scotts Big Breakfast to your last glass of wine with locally sourced charcuterie with friends. We're also a great spot for events - from small groups getting together for a meal to an all-singing-all-dancing affair with drinks, canapes and dinner. Click here to find out more. Opened in August 2017, Scotts Kitchen is the latest addition to the Howies Restaurant family. Like our sister restaurants, we like to work with quality, local suppliers on our menus. We're open from 9am to ease you into the day with an abundance of fresh baking and mouth-watering dishes. 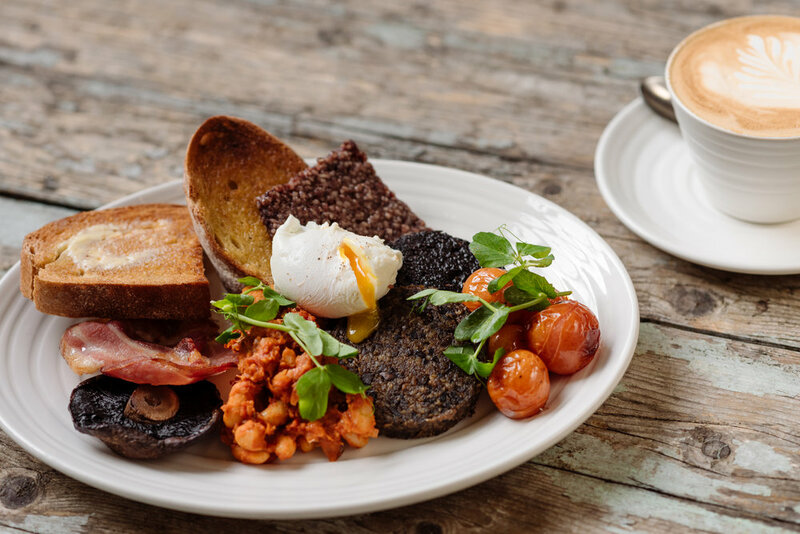 Go light with Scottish porridge oats with runny honey and almonds or go bold with the Scotts big breakfast packed with haggis, black pudding, bacon, lorne sausage, eggs poached, scotts homemade beans, roasted cherry tomato and au gourmand sourdough toast. Our locally sourced menus are also available throughout the day and feature simple, honest cooking including the Scotts burger and the ultimate chocolate sundae! For those of you with a sweet tooth, you simply must try our home baking which is lovingly made on site each morning. Our carrot cake receives rave reviews! If it's drinks you're after, our expertly selected wines, craft beers & cocktails along with our specially selected artisan tea & coffees are sure to quench your thirst.